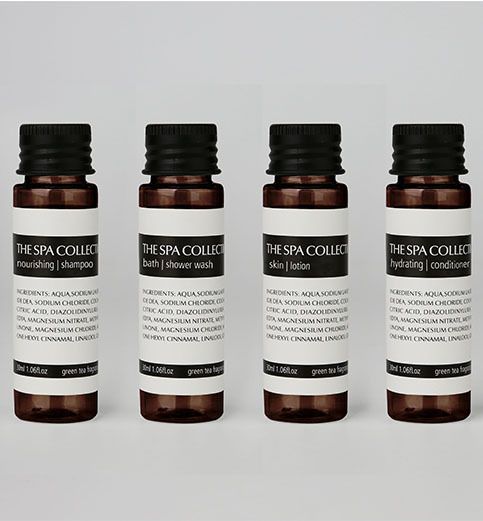 THE SPA COLLECTION hospitality brand introduces a full range of new products to the hotel industry. THE SPA COLLECTION green tea is a lovely scented range of boutique products made to meet the requirements of mainstream hotels. The delicate green tea fragrance makes a lasting impression combined with rich feeling cosmetics. THE SPA COLLECTION green tea is the ultimate choice for bright hotels who want to reach out to people with great taste.